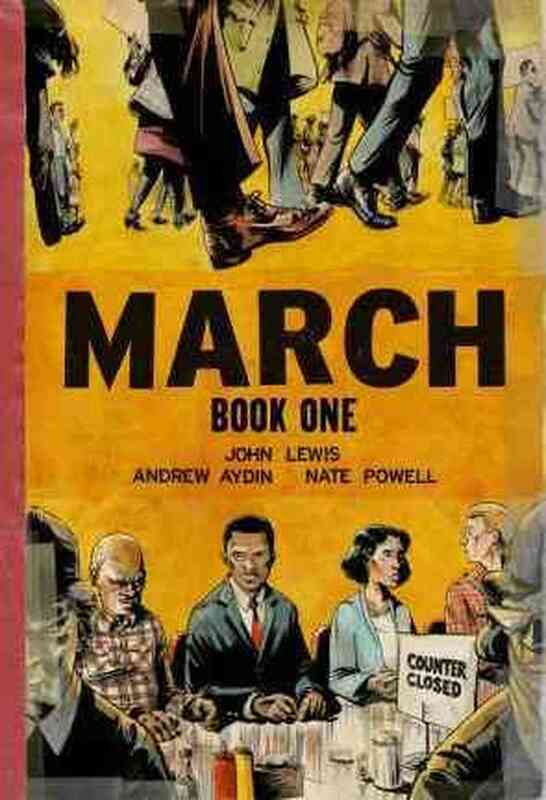 This graphic novel is written by real life civil rights activist John Lewis. Although it is presented almost as a story, it tells about Lewis' real lifelong struggle for equal rights starting with lunch counter sit-ins in the 1960's. The segregation and Jim Crow laws are vividly depicted as are the violent responses from the white authorities to the nonviolent protests. I'm not usually a fan of graphic novels because the kids at my school aren't interested in them, only in manga, but this one caught my attention more than others. It still won't be wildly popular, but it might have more of an audience than other nonfiction graphic novels. One part in particular that I think teens might find interesting is the training the protesters went through to be able to give a nonviolent response to the attacks they expected to receive.